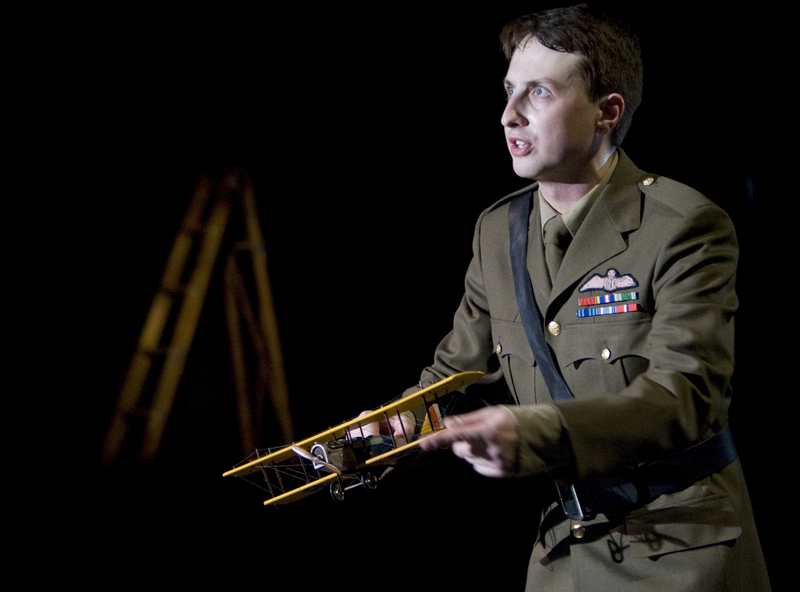 Billy Bishop Goes to War was first written and performed by alumnus John Gray and Eric Peterson in 1978. 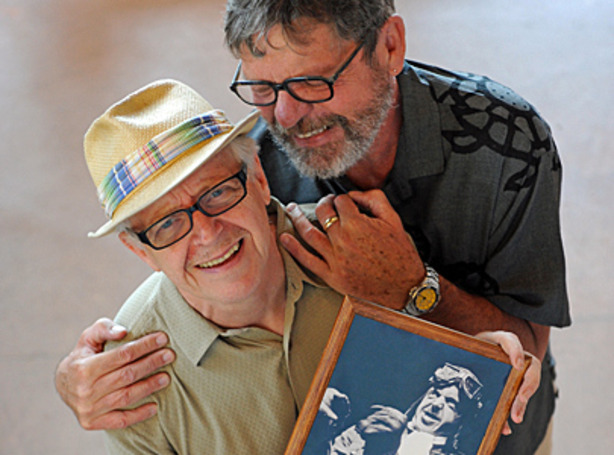 Our alumnus are still soaring 30 year later as Billy Bishop wings his way back to Toronto’s Young Centre with Soulpepper Theatre! Creators John Gray and Eric Peterson have returned with the beloved story of the celebrated and irreverent Canadian World War One flying ace. The play premiered originally at the Vancouver East Cultural Centre in Vancouver with Peterson playing 18 different characters, and Gray accompanying him on piano and vocals. This original production toured across Canada, and also was staged in Washington, DC, both on Broadway and off-Broadway in New York City, at the Edinburgh Festival, in Los Angeles and at the Comedy Theatre in London. The libretto was published in 1981 by Talonbooks. The show was produced on Broadway at the Morosco Theatre and afterwards moved to Off-Broadway at the Lucille Lortel Theatre. The play won the Los Angeles Drama Critics’ Award in 1981, the Floyd S. Chalmers Canadian Play Award in 1982 and the Governor General’s Award for English Drama in 1983. In 1998, Gray and Peterson revised the show, presenting events through the eyes of a much older Bishop recalling his wartime exploits. They again toured the new production across Canada. This revised show was produced with the original actors at Toronto’s Soulpepper Theatre in 2009 and again in 2010 after a second revision was made. Due to the phenomenal success of the show it’s back for the third year in a row as Soulpepper’s entry in Toronto prestigious Lumniato Festival. We wish these high flyers continued success! 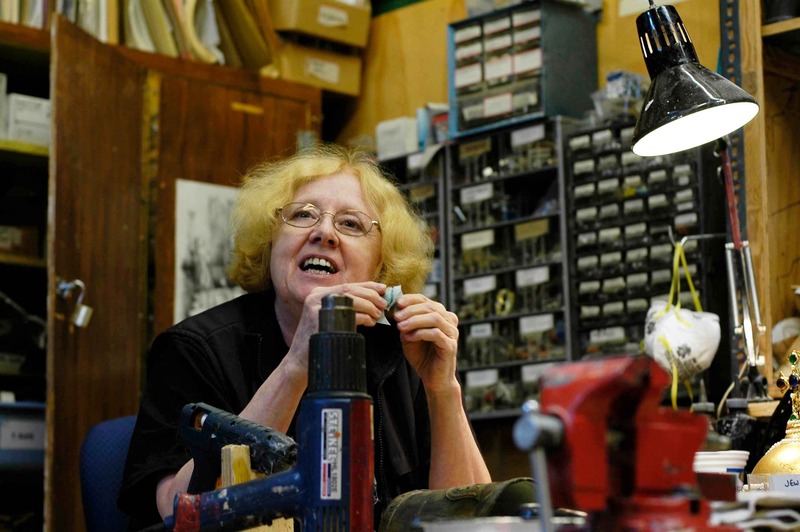 Editor’s Note ~ This month’s guest blog post is by our Head of Properties Janet Bickford who is retiring this spring after 19 seasons with Theatre at UBC. As you may know, ours is a wide-ranging and diverse department. We feature three different BFA degrees, two BA streams, four MFA specialties, two MAs and a PhD plus two certificates. Our students are scholars and practitioners. As usual, tonight’s production is led by student initiative. All four design elements are created by students, the actors are part of the Bachelor of Fine Arts Acting conservatory program, and the production is managed and crewed by students in our theatre production stream. Here, I would like to focus on the Master of Fine Arts in Directing for Theatre and the graduate student who leads the team for Wild Honey, Brian Cochrane. 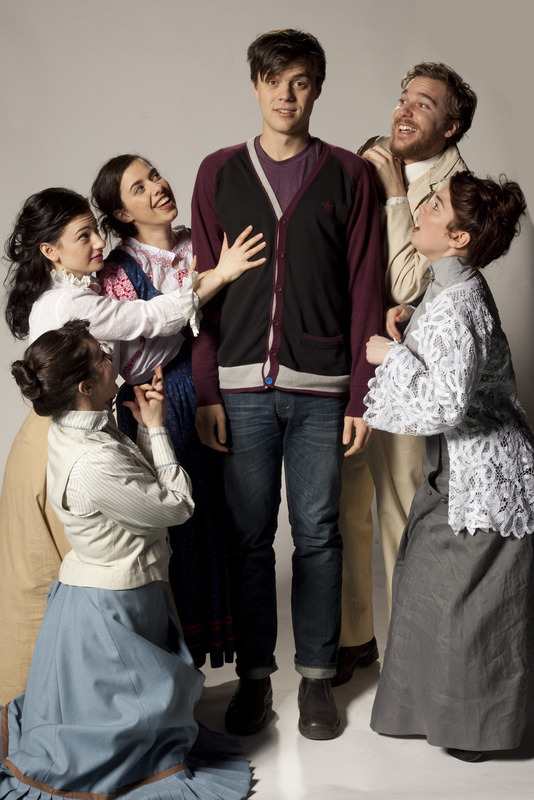 Directing Wild Honey is part of Brian’s MFA thesis. A student in directing undertakes a certain amount of course work during their two-year residency at UBC and the work culminates in directing a full-length play in the Theatre at UBC season. What follows the production is a document outlining the preparation for and reflection on the production, which will eventually be placed on record in the UBC library and remain a permanent testament to this ephemeral event. We are really proud of the students who complete this program and become leaders in their field. UBC directing grads are ubiquitous in the theatre; one leads Theatre Calgary, one leads the Sudbury Theatre Centre, one leads Vancouver’s Pi Theatre, one leads Vancouver’s only professional Francophone com- pany, one co-directs the city’s Leaky Heaven Circus, one is Associate Director at the Richmond Gateway, one is currently teaching and directing at Bishop’s University in Quebec, one has recently directed for the Arts Club, another for the Vancouver Playhouse, one is the resident dramaturg at the Arts Club, another is full-time faculty at the University of Victoria, one is full-time faculty at Thompson Rivers University, one stars in Little Mosque on the Prairie, one stars regularly at the Stratford Festival, another runs a company in Seattle, another is a faculty member at Perdue University, another at Trinity Western University, many are working free lancers and Jessie and Leo Award winners, one is a UBC faculty colleague. And there are many more! This litany of talent is listed only to underline that our current production of Wild Honey is the work of a director and an artist who will go on to have a major impact on the theatre as we know it. I hope you’ll take the opportunity to attend Theatre at UBC and support the emerging talent we are so proud to nurture. The last piece of the Theatre at UBC puzzle this year is the always surprising Brave New Play Rites Festival in the Dorothy Somerset Studio, March 30 to April 3. See you there! The first mobile telephone call was made from inside a car in St. Louis Missouri on June 17, 1946, but it was far from what we think of as a portable handset today. The car mounted equipment weighed 80 lbs, and the AT&T service, basically a massive party line, cost $30 per month plus 30 to 40 cents per local call. 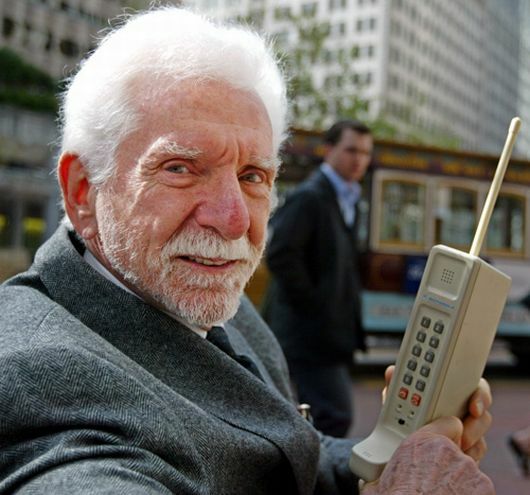 The first handheld mobile phone was demonstrated by Dr. Martin Cooper (Born 1928) of Motorola in 1973, using a handset weighing 4.4 lbs. 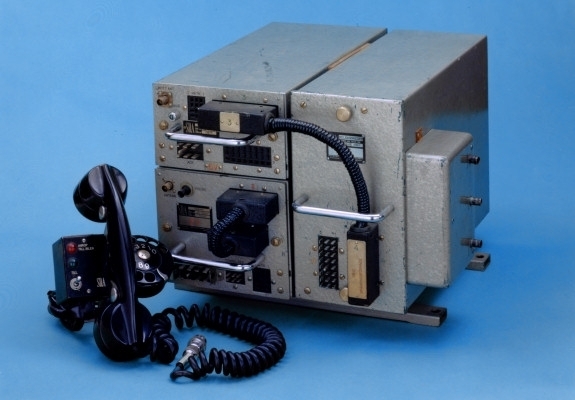 Cooper, then general manager of Motorola’s Communications Systems Division carried the hefty cell phone through New York City and placed a call to his rival, Joel Engels at Bell Labs via a connection to Engels’ land line. Dr. Cooper later revealed that watching Captain Kirk talking into his communicator on the tv show Star Trek inspired him to research the mobile phone. Producing that first phone in 1973 cost Motorola the equivalent of $1m in today’s currency and the battery lasted 20 minutes, after which you needed to recharge it for 10 hours. Ten years later Motorola released the first commercially available mobile phone, the DynaTAC 8000x. The cost was equivalent to more than $10,000 today and the phone weighed in at 2.5 lbs. Luckily yuppies had shoulder pads on which to rest the hefty devices. Today 71% of Canadians either own a cell phone or plan to buy one in the near future. 40,000 cellphones are thrown out across Canada every day, according to the Recycling Council of B.C. Only 12% of used mobile devices in Canada are currently being recycled; the rest are stored, sold, gifted or thrown out. Mobile phones contain toxic substances that need to be disposed in a safe manner. Some dangerous components include cadmium, copper and nickel, which should not be normally disposed of as trash. Each phone contains about a dollar’s worth of precious metals, mostly gold. More than 95 per cent of the materials in an average mobile device are recyclable. If you want to know where to recycle your phone go to RecycleMyCell.ca and enter your postal code to find the closest drop off centre, or call 1-888-797-1740 for more information. Nationwide this re-cycling program collected 345,694 cell phones collected in 2009 alone (its first year) – that’s 69.1388 tonnes of cell phones. Note: Dead Man’s Cell Phone opens January 20, 2011. To see production photos, designers’ portfolio and more go to the Dead Man’s Cell Phone show site. Tickets are Reg. $22/Senior $15/Student $10 and are available online. As a 3rd year student with Theatre at UBC, I was really looking for an opportunity to find work experience outside of UBC that would help me further my studies in theatre. I found out about volunteer opportunities with the Vancouver Asian Canadian Theatre through UBC Careers Services. As I’m Chinese, I really wanted to help an organization that allows me to work with other Asians and put on different types of productions. VACT puts on plays, musicals, comedy events, and much more. Their mandate is to showcase Asian-Canadian talent in artistically significant roles, and to engage mainstream audiences with Asian-Canadian stories and cultural themes. 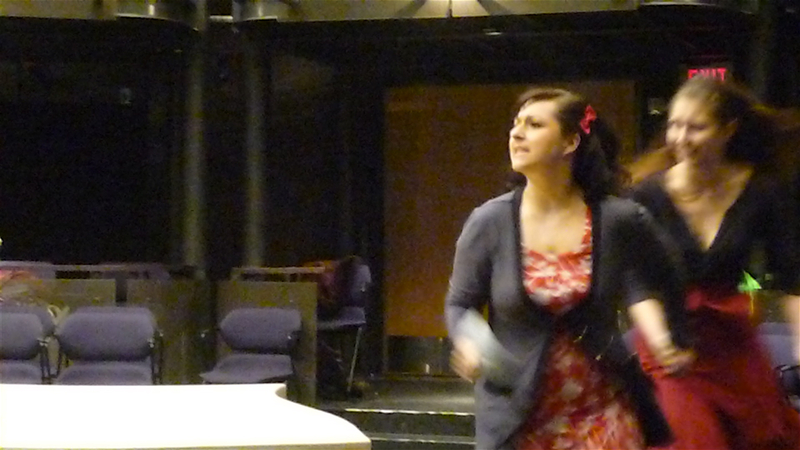 I am currently volunteering on ‘VACT’s’ marketing team for its first original musical production, Red Letters. 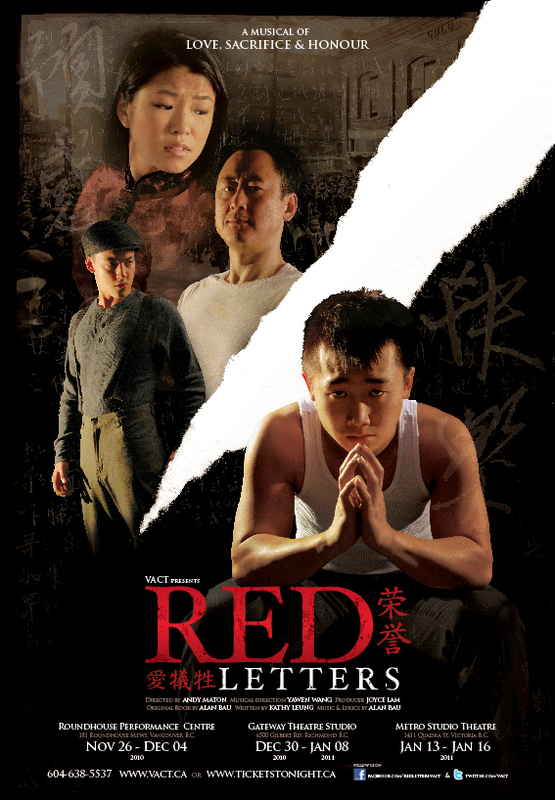 Red Letters is an original Canadian musical written by Alan Bau and Kathy Leung with music and lyrics composed by Alan Bau. Set in 1920s Vancouver, it is the moving story of Shen, an immigrant from China who leaves his wife Mei to come to Canada seeking his fortune. Once established, he hopes to bring her over to join him. With the enactment of the $500 head tax and the Exclusion Act in 1923, the promise of Gold Mountain is betrayed. Harsh realities of life in Vancouver Canada force Shen to take drastic action if he is ever to see his dreams fulfilled. I found this musical to be highly relevant to the history of the Chinese Canadian community. This production is being shown in Vancouver at the Roundhouse and then touring to Richmond’s Gateway theatre and Victoria’s Metro Studio Theatre. My marketing duties at VACT involve helping to find advertisers for the Victoria show and organizing school groups for the Victoria show. It involves a lot of phoning, which I gained experience in from working at the UBC Call Center. 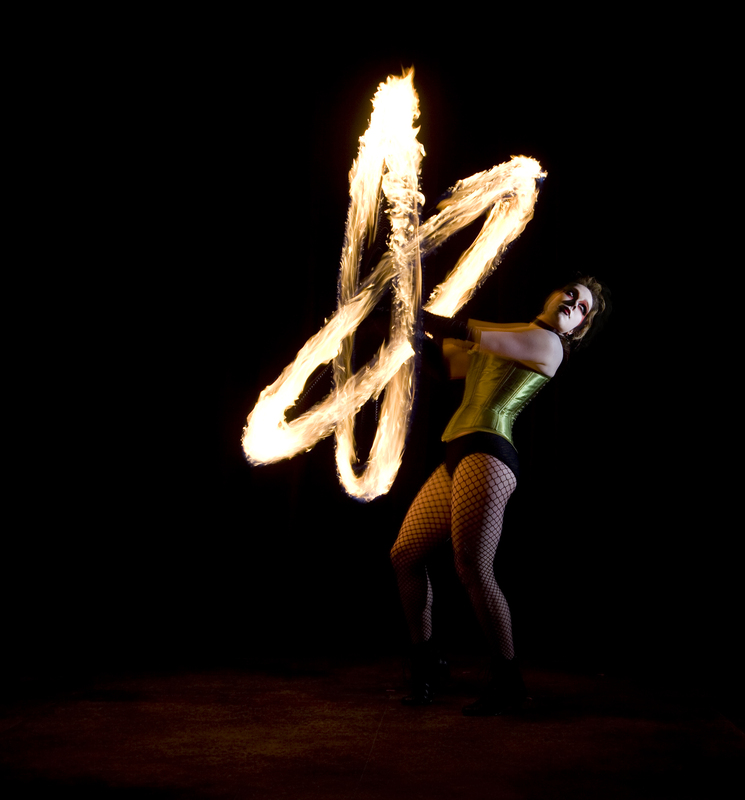 I’ve already been successful in booking in a few advertisers for the Red Letters show program. This volunteer position is quite different than the role I’ve had working on Theatre at UBC productions, but allows me to understand the administrative side to theatre, including marketing. I’ve also been able to meet a lot of new people including other UBC students, local working professionals in the industry, other actors/actresses and the opportunity to work directly with the producer of the show, Joyce Lam – who is also VACT’s Artistic Producer, President and Founder. In the summer of 2009, when I was finally getting down to reading Arms and the Man, the BBC news announced that that a researcher had discovered a joke written by George Bernard Shaw in honour of the opening in 1930 of the Hall at William Morris House in Wimbledon. The joke was found written in Shaw’s hand on a photograph of himself, and read as follows: “William Morris and I preached the gospel of Labour together on many occasions. Many respectable persons thought we deserved hanging. I am proud to hang in a hall dedicated to him.” As a joke it was a little disappointing, but it did trigger a thought which led to research that incorporated photography, William Morris’s idiosyncratic textile designs and socialism. Because many of the characters in Arms and the Man are posers, I decided that I wanted to play with the posed photo. I began by immersing myself in the extensive slide collection at Concordia University. Like all research, it’s the serendipitous find that often makes the searching most exciting. In the collection, I found original slides from the Notman Studio in Montreal. One hundred and fifty people came in answer to the advertisement to don their brightly coloured costumes representing various themes and epochs. They included Scottish couples in Highland costume, Elizabethan ladies and courtiers, several soldiers and sailors, a voyageur, a pilgrim father, “Diana”, goddess of the hunt, with bow and arrows, a scattering of young women in peasant costumes, a woman dressed as Night, another as the morning star, a man arrayed as a counter bass, another as a giant head and an “Indian” who appears to be aiming his arrow at a woman smoking a cigar. In Arms and the Man, the characters that inhabit the “house” have more money than sense, and spend much of their time posing and romanticizing the war. I began to cut and paste, as needed, elements for my own composite photo. And so what began with a joke at the back of a photograph, ended up as a photographer’s backdrop for the actors. 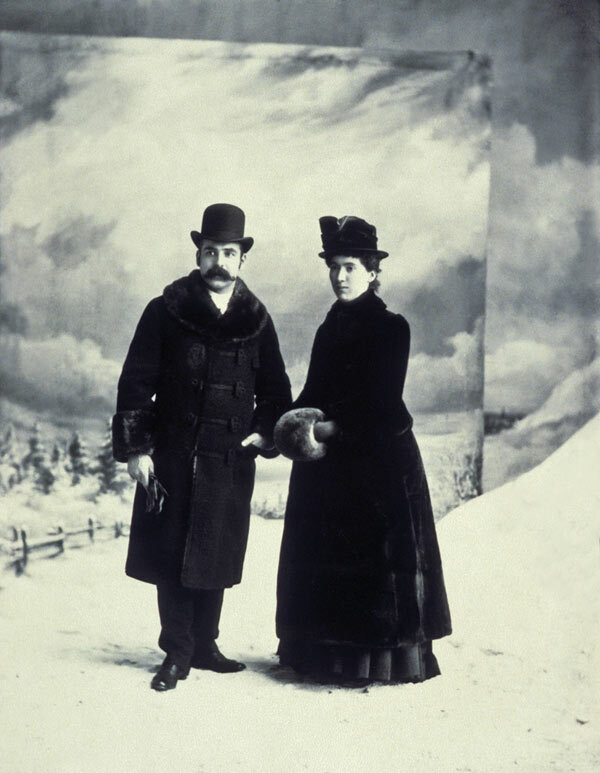 Triggs, Stanley G. “The Composite Photographs.” Mccord-museum.qc.ca. McCord Museum, 2005. Wed. March 10, 2010. Note: See more set design renderings on our show site! Before UBC, I attended various acting schools and programs to further my education and training. As soon as I began my journey here at UBC I realized that this is where I needed to be in order to fully explore my potential as an actor. 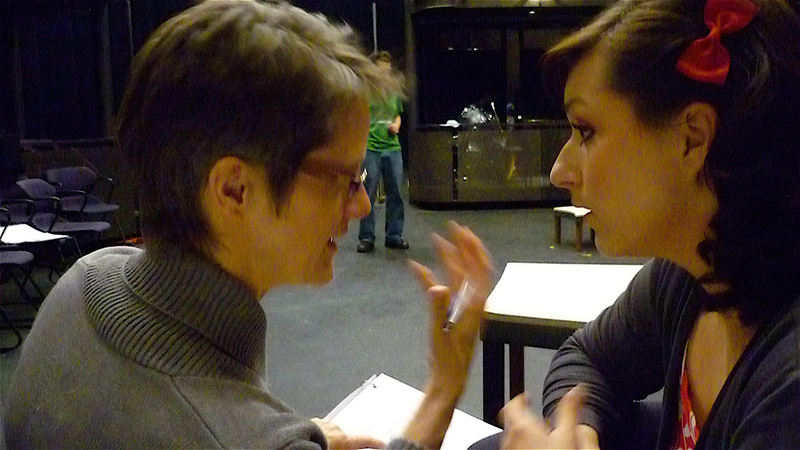 Professor Gayle Murphy coaches BFA acting Candidate Moneca Lander. 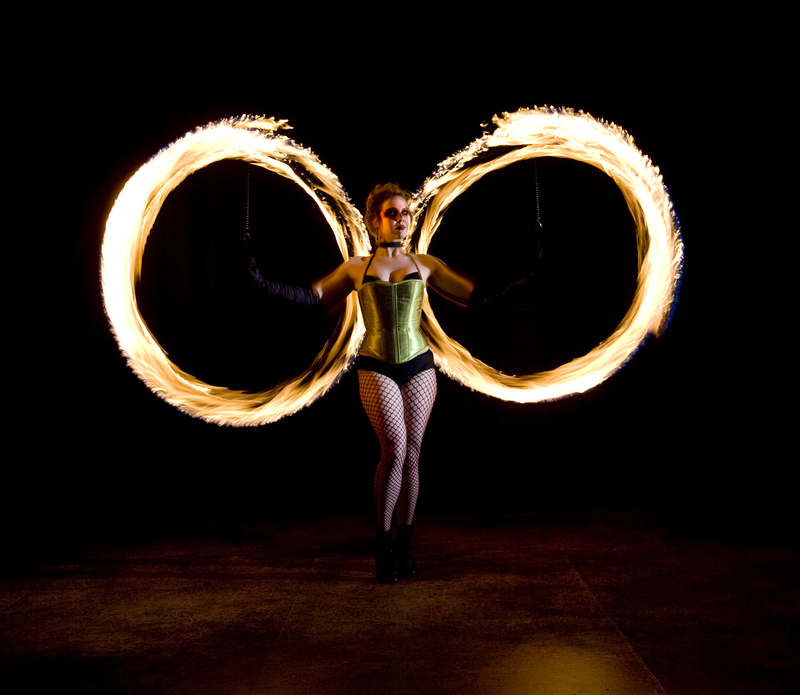 Throughout my years here at UBC I’ve been involved in many productions. The specialized training in my classes has broadened my range as an actor and exposed me to a variety of stylistic acting techniques – one of the most memorable, being the Commedia dell’arte mask work introduced in my Intermediate year. This stylistic training gave me a foundation for my work in full-scale productions, such as Servant of Two Masters in which I was given the opportunity to play the role of “Smeraldina” the lady’s maid. I was able to transform myself physically, vocally and mentally into a character, a task that would have been extremely difficult to do had I not been given the stylistic training. I’ve developed a strong appreciation for the classical training this program has offered. I believe that a strong well-rounded foundation is crucial in the development of a young actor. The specialized training in a wide range of stylistic genres such as Shakespearian, Renaissance, Commedia dell’arte and Modern/Contemporary has absolutely made me a well-rounded actor. "...and playing is what i am here to do." Working with and observing actors from the various class years of the program has proven to be a fantastic way for me to expand my own skills. I often find myself more open to ideas and suggestions when surrounded by such an inspiring group of talented actors. 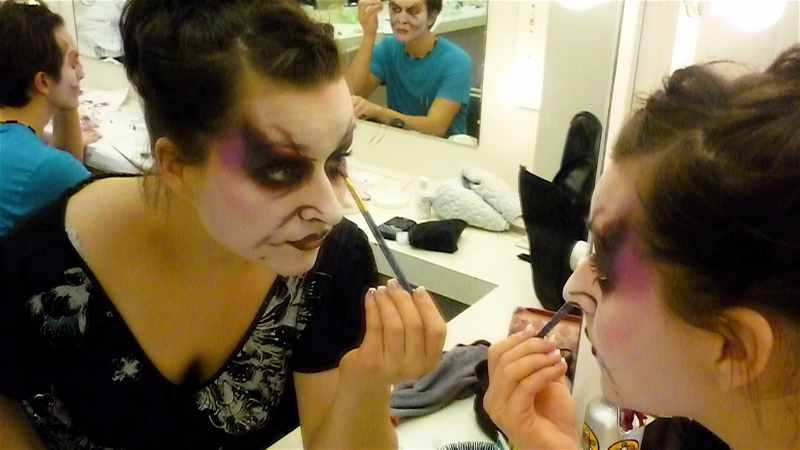 Moneca Lander backstage in rehearsal for Romeo & Juliet. The rehearsal process for Romeo and Juliet has been extremely organized. The expectations are always set out by the director, and we are able to come to rehearsal with our work done, and just play! And playing is exactly why I’m here. I can’t think of anything else in this world that would ignite as much passion within me, as the satisfaction of bringing a written character to life and watching us both grow together. I was quite simply thrilled when the role of Friar Lawrence was offered to me. 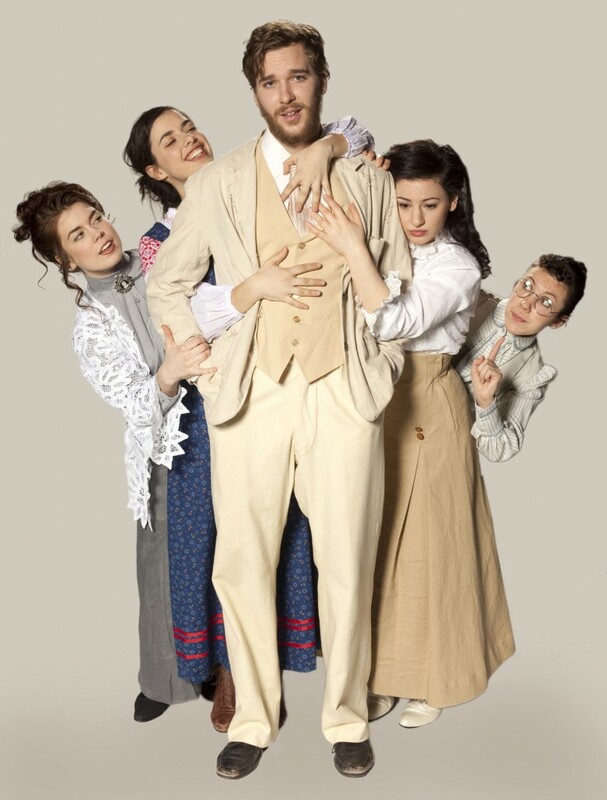 Right from the start Catriona Leger, the director, decided I would not pretend to be a man for the part, so the concept of Sister Lawrence was born, and along with it the task of creating an entirely new “religion” for the world of Romeo & Juliet. As a director Catriona constantly encourages us actors to make bold choices and try crazy new things. As I work on the show I really feel like I have an opportunity to put forth ideas and contribute to the creative process. I have to admit that with all this freedom, I felt a little overwhelmed in the first few weeks of rehearsal. In the beginning I just didn’t know where to begin. Slowly I started incorporating ideas from Wicca and Druidism with varying degrees of success. During my research I went to a few church services, spent time with a shaman and watched videos of pagan rituals. We are still a few weeks away from opening night and I finally feel like the foundation of our un-named order has been constructed and I am excited to watch it evolve. 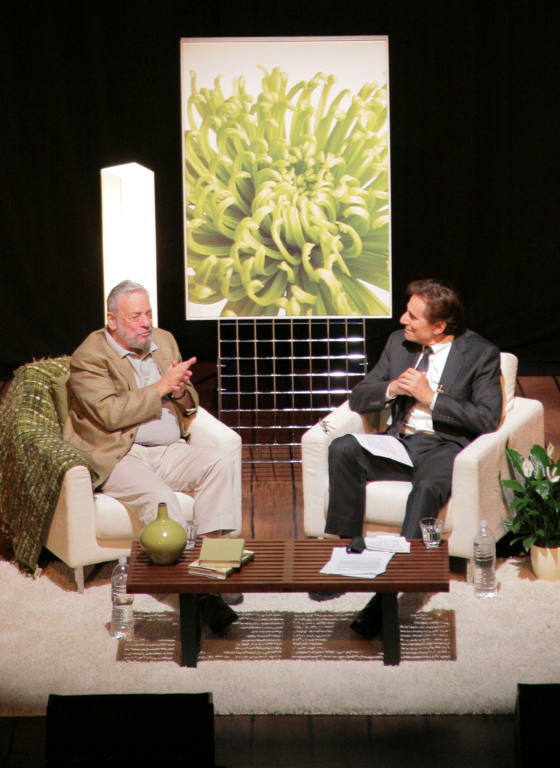 On October 27, 2009, I had the thrilling experience of interviewing Stephen Sondheim for 90 minutes on the stage of Vancouver’s Vogue Theatre in front of 900 adoring fans–of Sondheim’s, not mine. Still, such a huge wave of love broke over the stage that a little of it inevitably splashed onto me. What a feeling! Sondheim was here as a fundraiser for APPLAUSE! Musicals in Concert, whose artistic director, Scott Ashton Swan, had invited me to do the interview. I’ve done quite a few high-profile one-on-ones–John Ralston Saul, Neil LaBute, Kim Cattrall–but I felt anxious about Sondheim. It would be like interviewing Shakespeare–the Shakespeare of modern musical theatre–but I knew little about him and not enough about his music or the shows he had written. And what shows! West Side Story (the greatest musical ever, in my pantheon) and Gypsy (lyrics only); music and lyrics for A Funny Thing Happened on the Way to the Forum, Company, Follies, A Little Night Music, Sunday in the Park with George, Into the Woods, Sweeney Todd, Assassins, and more. The guy’s a superstar, one of the 20th century’s finest artists. So I spent a week in full Sondheim immersion, reading his biography and four other books about his work, and listening to the soundtracks of all his shows. Finally, I felt prepared. But I had also read and heard things that suggested he might be grumpy, egotistical, thin-skinned. And he’s 79 years old, so how sharp could he be? How much would he remember? How long could he sit? Turned out none of my fears were warranted. Sondheim is brilliant, witty and articulate, with a virtual photographic memory for details. I helped a little by setting him up with questions about his life and work that, from my reading, seemed to be often-told stories. And he’d knock them out of the park with perfectly timed punchlines. He’s also remarkably gracious, personable and modest. (“Call me Steve.”) And unbelievably vigorous. Our gig was his fourth in four nights in different cities: San Francisco, Houston, Seattle, Vancouver. And he traveled alone–no retinue, no handlers, no assistant. What a guy. This was Sondheim’s first trip to Vancouver and very likely his last. Those of us at the Vogue that night—me especially–were fortunate to be in the presence of true greatness. Note: Vancouver Sun coverage of the interview.